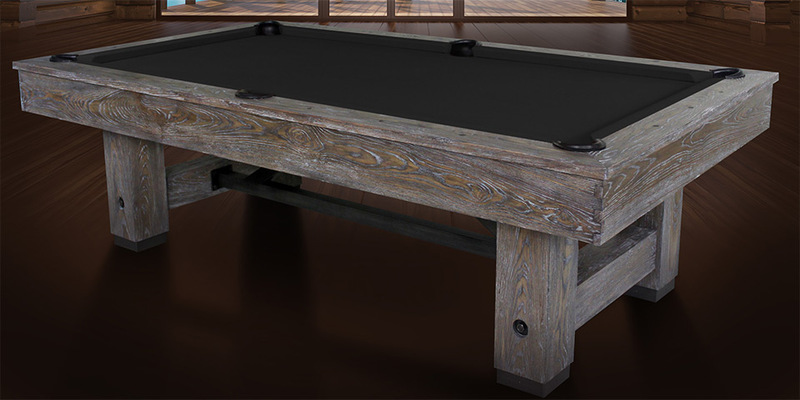 We could go on and on but the picture speaks a thousand words on this rustic & industrial inspired billiard table. Hand crafted with metal components with true finger jointed cabinetry and heavily distressed solid raised grain ash wood. The Cimarron table is not only beautiful to look at but built to last for generations. The Ella II pool table is styled with curved post legs, an arched cabinet and arched side blinds; all showcasing a smooth polished finish on solid hardwood. 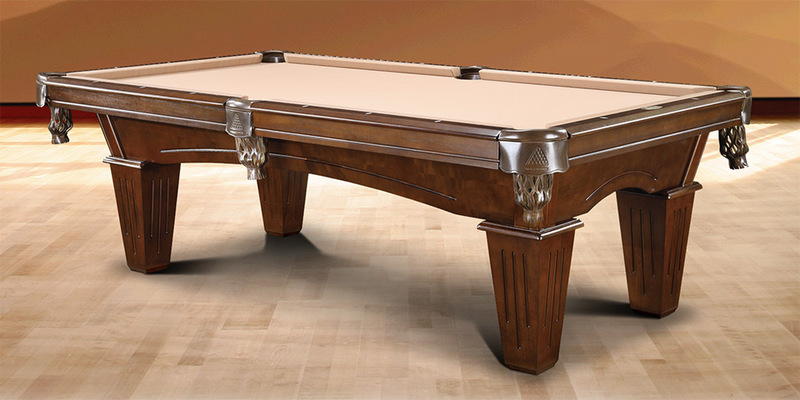 The Ella II billiard table is modern yet elegant for a contemporary look. Available in 7, 8, and 9 ft. lengths. 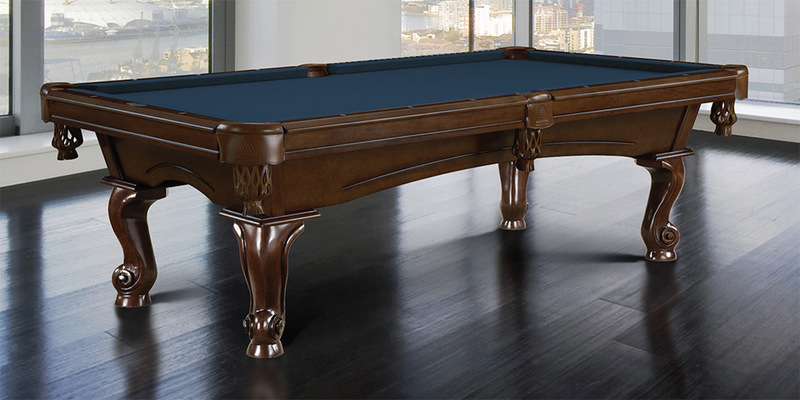 Legacy Billiards redefines pool table style with the Landon II. Built of solid wood with a fine furniture finish, the Landon II is inspired by the craftsman era of fine wood working. The Landon II is infused with special details ranging from the 6 inch closed rail with embedded real mother of pearl sites to the custom routered details of the side panels. A sweeping arched cabinet coupled with hand carved scroll legs give the Mallory Pool Table a refined, sophisticated look. 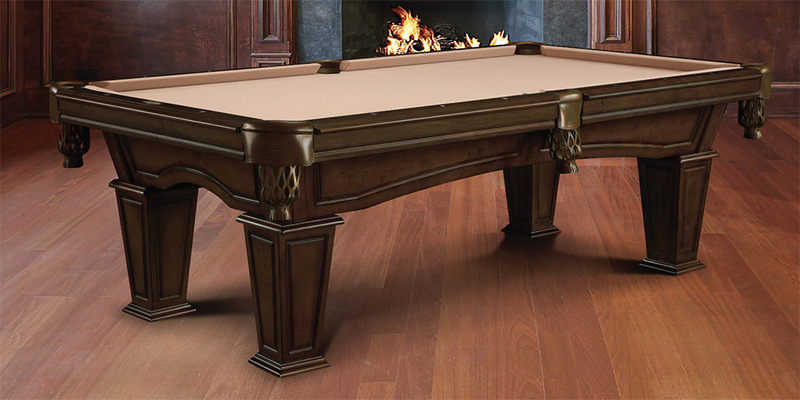 Built with Legacy’s unique Perfect Corner, this heirloom-quality billiard table is designed to provide your family with decades of enjoyment. 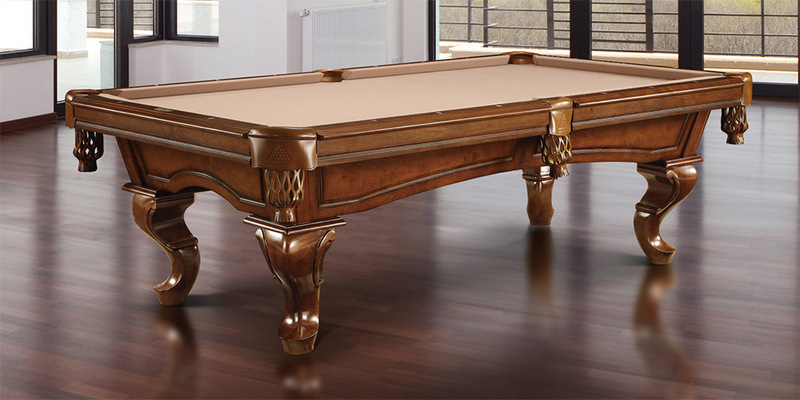 This pool table will add timeless style and elegance to any home billiard room. Artistically blending clean lines with dramatic curves, the Mesa expresses ageless beauty and impeccable style. Truly timeless in design, the Mesa’s strong lines, tapered paneled legs and gracefully arched cabinet is sure to be a focal point in your home game room for many years to come. 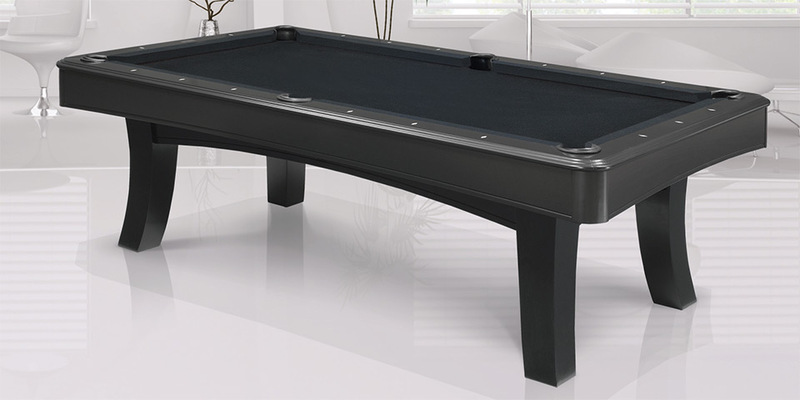 Clean lines punctuated by a distressed Black Pearl finish make the Outlaw pool table stand out in any home game room. 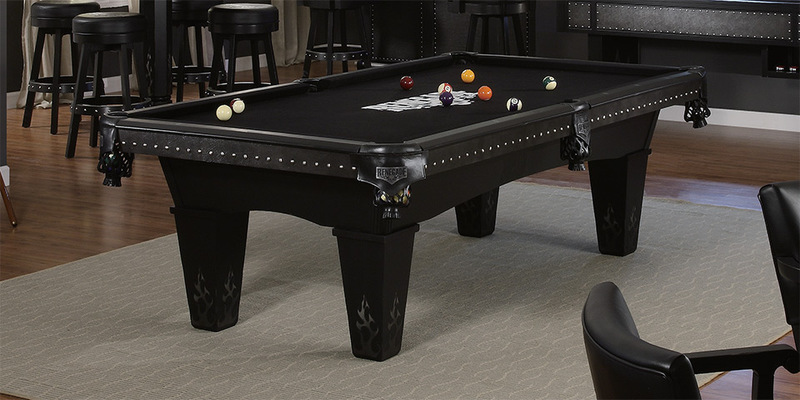 This exotic and customized table has added hand-set metal studding, textured inlays on the blinds, and laser etched flames burned on the legs to make a bold, one of a kind statement pool table. Artistically blending clean lines with dramatic curves, the Radley pool table pairs ageless beauty with impeccable style. 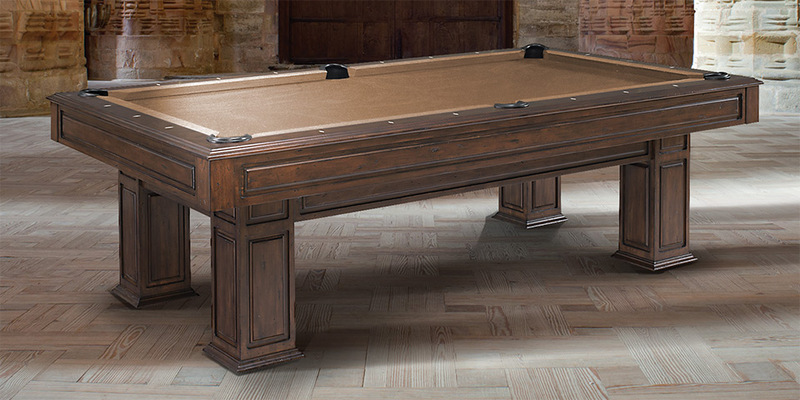 The Radley’s handcrafted design and solid wood construction make it an heirloom-quality investment for your home game room. 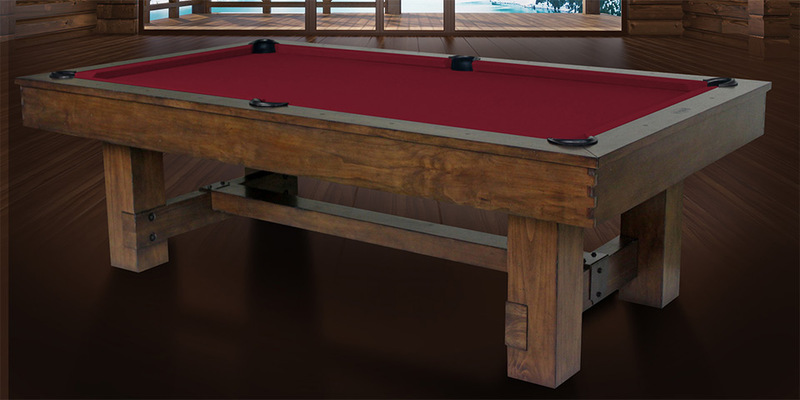 The Ryan’s rugged good looks and durable construction will allow for many hours of intense billiards fun. Designed with routered hardwood legs, the patented sturdy Perfect Corner, diamond pearl sights and durahyde pockets makes the Ryan stand out from the competition. 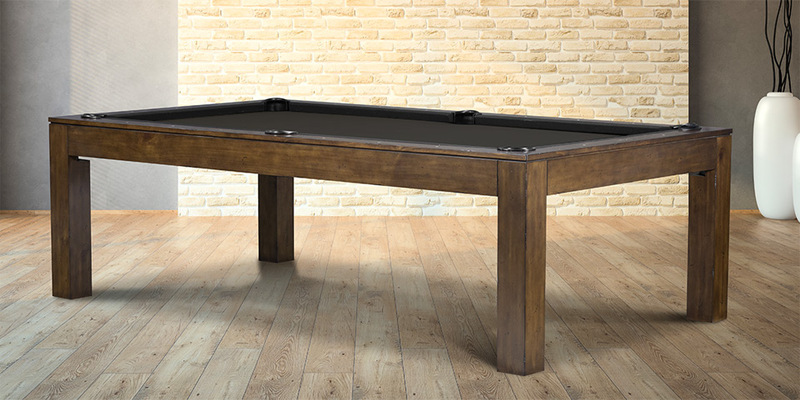 From style to its solid construction, the Ryan billiard table is a great buy. The craftsmanship is second to none. The attention to design detail is spot on-handcrafted exposed finger joint corners and hammered metal accents will make you smile every time you look at it. It comes with a guarantee that your friends and family will comment on the tables beauty. The heavily distressed solid pine has copious character. 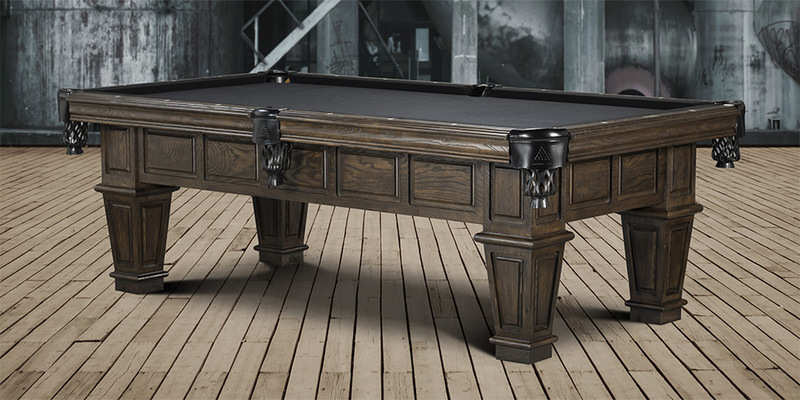 The beautifully crafted Wyatt Billiard Table adds style to any game room with its fully routed hardwood cabinet, 6” wide top rails, hand inlaid mother-of-pearl sights, full leather pockets and post leg design. Its elegant and classic design never goes out of style.